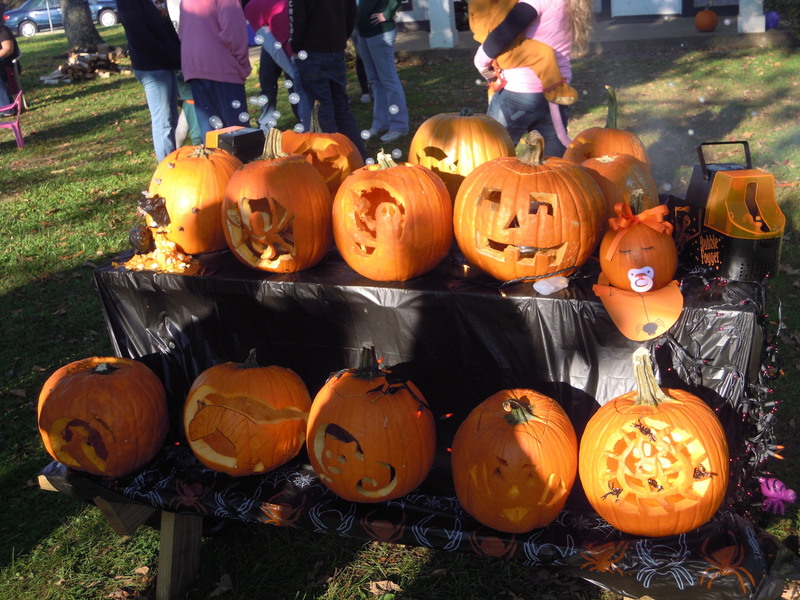 LOUISA, VA – Halloween at Small Country Campground is one of scariest and most fun events of the year…and it is open to the public for a nominal fee. Halloween starts at Small Country in the morning of Saturday, October 20, with the opening of the bouncing pillow, the mini golf course, and a fire truck ride at Noon. Games and crafts start at 1 pm. Then costume judging at 3 pm, followed by Trick-or-Treat around the entire campground (bring a large bag). Hayrides through the Haunted Woods begin for the young kids at 6:30 pm and run until at least 9 pm, weather permitting. Campsites will be judged in the evening. At 8 pm the party begins with music from Halloweens of the Past and everyone dance, costume or not. Outside guests are welcome at $15 for folks ages 10 and up; under 10 are free. And you can spend the entire day playing golf or hanging out.